Severe windstorms, dubbed Big Blows by Pacific Northwest locals, strike regularly, driving powerful gusts to incredible speeds of nearly 140 miles per hour. Canada in particular has seen a huge increase in wind claims in 2018 said ISABELLE BABINEAU, Paul Davis Business Development Director, Eastern Region, ibabineau@pauldavis.ca. Severe winds lash much of North America as a mighty demonstration of Mother Nature’s awesome power. Unfortunately for many, these displays get mightier all the time. Scientists have observed a slow but steady rise in average speed of air movement around the world and a corresponding increase in the number of windstorms. Store vehicles in enclosed areas or, at the very least, away from trees and other items that may become projectiles during a storm. Fasten outdoor furniture and ornamentation down – or store in enclosed areas. Store smaller items like trash cans and grills when they aren’t in use. Inspect and repair loose roof shingles. Wind damage begins small – prying up a corner – but each subsequent gust compounds the harm and increases risk to surrounding roofing materials. Anchor outdoor structures – freestanding sheds, for example – securely to sturdy foundations. 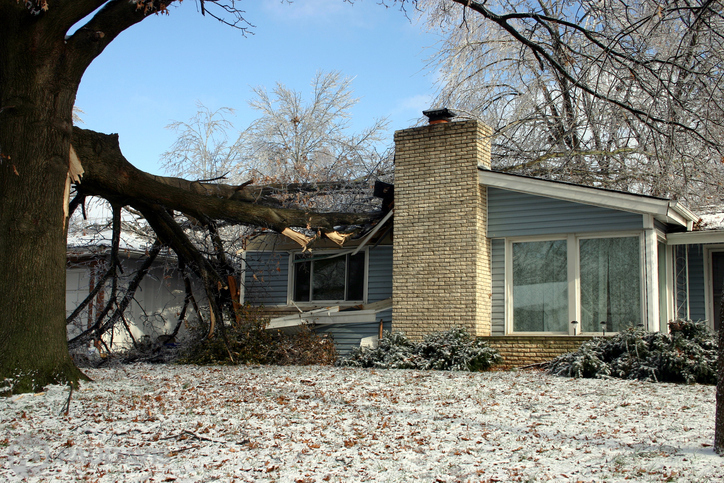 Trim or even remove large trees that could strike your home in a windstorm. Reinforce doors with deadbolts and don’t forget to fortify garage doors. Due to their size, design and mobility, they are particularly vulnerable to wind damage. Consider storm shutters for windows. Anchor siding firmly. As with roofs, wind can tear away large areas of siding once a small piece has loosened. Designate a safe area in your home or business to take shelter if necessary: a small, interior room with no windows is ideal. Once you’ve taken these prudent precautions, grab a moment to be glad you live on Earth rather than Neptune, where furious streams of methane whip the planet at nearly 2,000 kilometers per hour. When wind damages your own plot of our home planet, Paul Davis comes to the rescue anytime night or day.